Visual discrimination is a skill that kids need for so many skills. From identifying and matching socks when getting dressed and doing laundry to recognizing subtle differences in multiple choice problems, visual discrimination is a visual perceptual skill that allows kids to excel in reading, writing, and math activities or struggle! 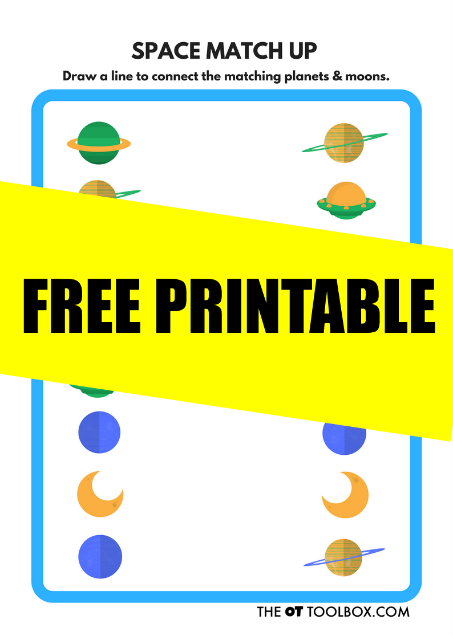 This space visual discrimination free printable is an easy way to work on those skills with a space theme. 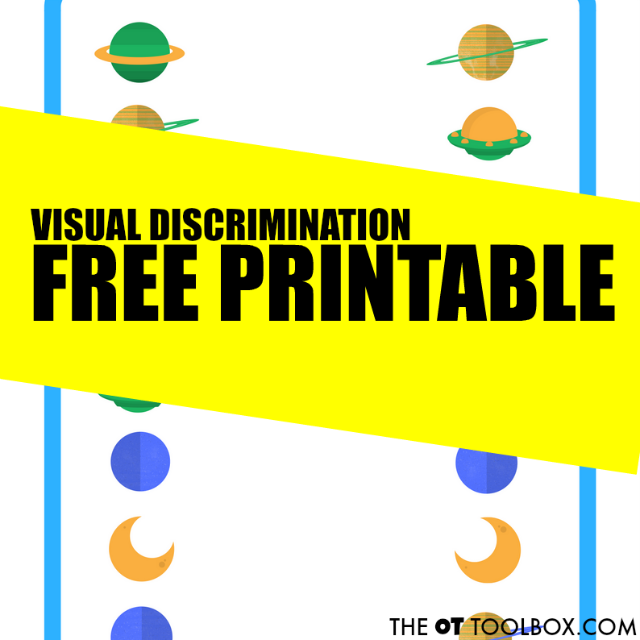 Use this space theme visual discrimination free printable over and over again. You can laminate it or slide it into a page protector and write with a dry erase marker. This is a quick activity that really boosts the skills needed to distinguish small details between objects. Grab your free printable by clicking the button above. Print it off and use the sheet over and over again to address visual discrimination skills. Related read: These visual perception apple theme shape stamps are a perfect way to work on visual perceptual skills and fine motor skills with DIY stampers.